When it’s time to drive home a new vehicle, you don’t want to compromise on class — but it’s always nice to save a bit. 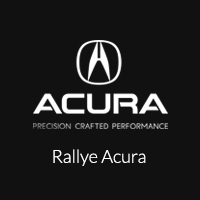 At Rallye Acura, we have a selection of new Acura lease specials for drivers in and around Roslyn. Not only does leasing a new Acura mean a lower monthly payment than financing to own, it means you can trade that Acura in for a brand new one hassle-free. Whether you want a new family vehicle like the Acura MDX or are seeking the ultimate luxury sedan in the RLX with Technology Package, we think it’s just a matter of finding the right Acura for you. You can see our selection of lease offers below or drop by in person to find your new Acura today.